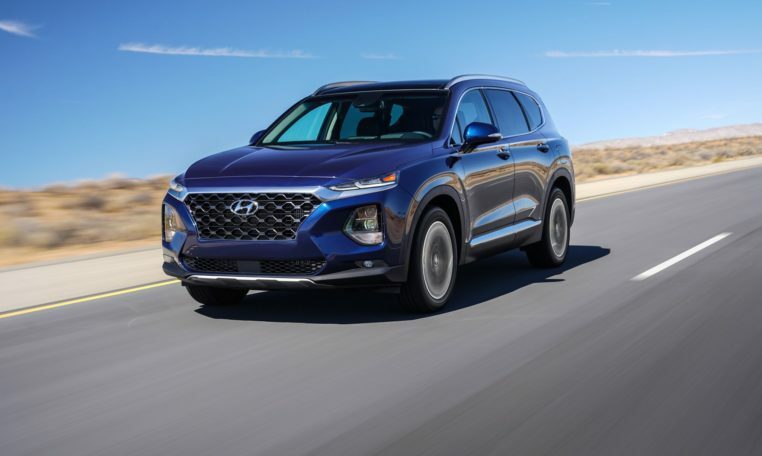 The 2019 Santa Fe comes standard with a 2.4-liter I-4 with 185 hp and 178 lb-ft of torque. A 2.0-liter turbo-four with 235 hp and 260 lb-ft is optional on the Limited and Ultimate grades. 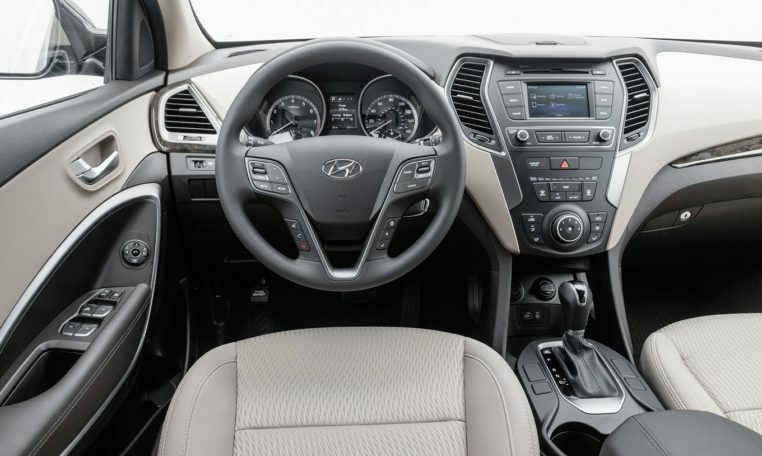 Both engines available on the 2019 Santa Fe come paired to an eight-speed automatic transmission. EPA fuel economy ratings for the 2.4-liter I-4 are 22/29 mpg city/highway for front-drive models and 21/27 mpg with all-wheel drive; upgrade to the 2.0-liter and the EPA estimates 20/25 mpg with front-wheel drive and 19/24 mpg with all-wheel drive. 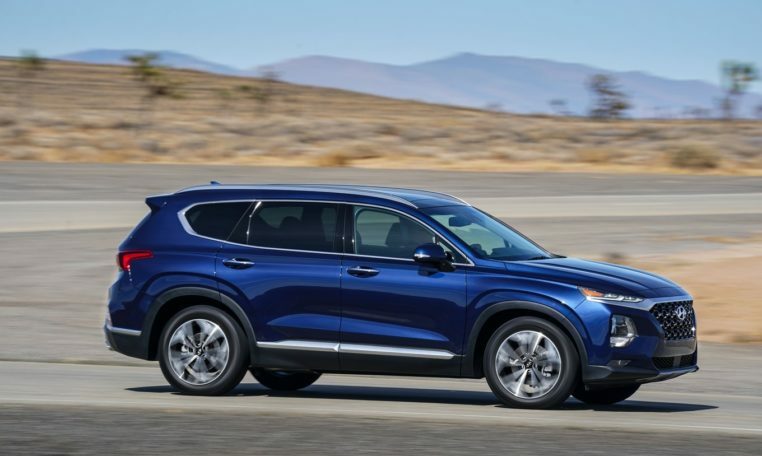 The 2019 Santa Fe hasn’t been crash tested by the NHTSA, but it is an IIHS 2018 Top Safety Pick +, with solid scores across all of the organization’s tests. 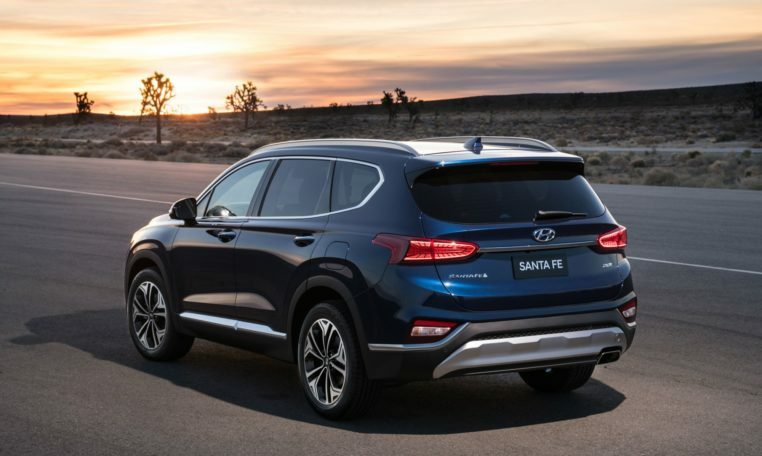 The Santa Fe is the first Hyundai vehicle to feature the full suite active safety features as standard across the whole lineup. Called Smart Sense, the equipment includes driver attention warning, forward collision warning, pedestrian detection, automatic emergency braking, lake keeping assist, blind-spot monitoring, rear cross-traffic alert, Safe Exit Assist, and adaptive cruise control with stop and go function. 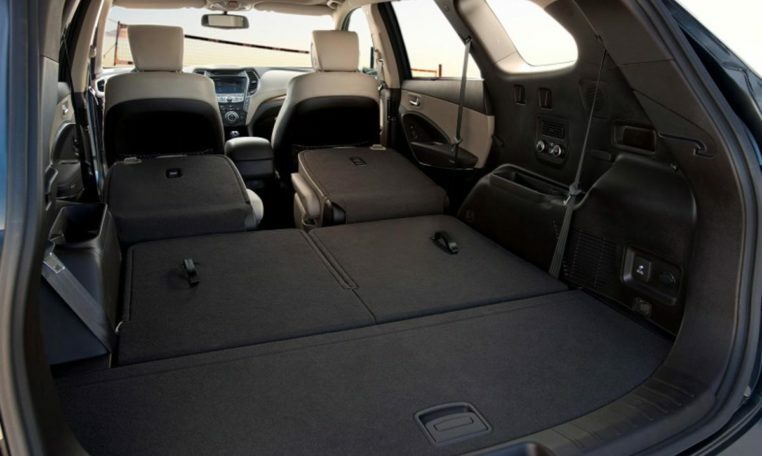 The 2019 Santa Fe has 35.9 cubic feet of cargo space behind the second row that can be expanded to 71.3 cubic feet. Diesel-powered models offer a small third row that cuts cargo capacity down to 11.6 cubic feet with all seats in place.